You, Me and Movies: I say the Avengers 4 trailer is imminent. I just don't know how soon. I say the Avengers 4 trailer is imminent. I just don't know how soon. The new year will be upon us shortly, and with it a new slew of movies we look forward to devouring in the upcoming year. 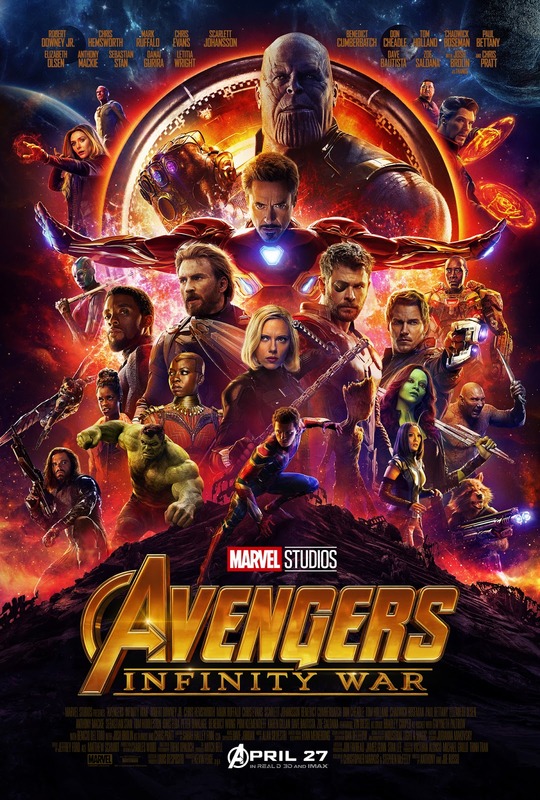 One of those movies that we are all hotly anticipating is, no doubt, "Avengers 4." We know it won't be called "Avengers 4" but that's the working title right now. 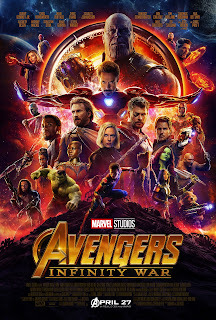 In October 2014, it was announced that "Infinity War" would be two parts, but after some work, Marvel told us that they are two separate stories and that "Avengers; Infinity War" will just be Infinity War and the fourth Avengers film would have a separate title. Even though its said that the main antagonist will once again be Thanos. I am not going to tapdance around spoilers. The movie came out in April, it seems like nearly the whole world saw it in theaters. Its available to buy on DVD right now. If you are reading this, you've most likely seen the movie. There's a reason why Thanos is returning. Since "Thor: The Dark World" Marvel has been teasing the Infinity Stones and the gauntlet, a powerful resource that allows the user to become a god. Since 2012, Marvel has teased Thanos, and made it clear he's looking for the stones. In the comics, Thanos collects the gauntlet, the stones and kills half of life in the universe. In the movie, he did exactly that. He collected the stones, he snapped his fingers. Now half the universe is gone and the heroes who are left are now wallowing in their defeat. Whatever happens in "Avengers 4" our heroes are getting some payback. Information has been abysmal at best. We don't even know the title of "Avengers 4" yet because it would spoil the movie according to Marvel. We usually get a new Marvel movie in May, and so we usually get the trailer for the movie the November before. Fans have been patiently waiting for a trailer to hit this month, and yet it hasn't happened yet. Marvel President Kevin Feige has said that we will get the "Avengers 4" trailer before the end of the year. But people want it now. There is also another piece to this puzzle. Marvel will release a prelude comic, giving a small preamble of events before the movie leading up to the May release. The first prelude comic is being released on December 5th 2018. That's next week. There has been a prelude comic book for each MCU movie. We will have to know the title by then right? The comic book is going to have the title of the movie on it, right? Usually, a trailer is released before the prelude comic, so fans can get a taste of what to expect. Will Marvel release this prelude cold turkey? Joe Russo will airhorn any A4 question. Man. Now that's what I call secrecy. There was absolutely no discussion of "Avengers 4" at all! I'm sure fans in attendance of last night's events were pissed. Hell, even I can't wrap my head around the point of getting the directors together for a screening of a movie everyone's seen already if they weren't going to dish something about "Avengers 4," literally what's the point? No new information on "Avengers 4." No trailer. No title. Nothing. And the revelation that we didn't get the trailer last night (as you all know) and we won't get it today at all. The Russo brothers are really keeping their fanbase on pins and needles. I know there is outrage everywhere on social media. Many fans were so sure we'd get the trailer by today. Now that's not even a possibility. My guess? It will drop Friday or sometime over the weekend. With the prelude comic coming out on the 5th of December, I would be surprised if we DON'T get the trailer by the weekend. I will also be surprised if we get no trailer and they release the prelude. Maybe they will release the trailer, title and prelude comic all on the same day. All I know is, it isn't 2019 yet, so technically nobody has lied yet.